In 1979, Iran became an Islamic republic. The Tehran hostage crisis shocked the world, the United Kingdom got a female Prime Minister by the name of Margaret Thatcher, the Soviet Union invaded Afghanistan and reactor number 2 at the Three Mile Island nuclear power plant in Pennsylvania almost blew. Had it happened, the radioactivity spread would have made Washington D.C., Baltimore, Philadelphia, New York City and the entire region uninhabitable for thousands of years. It didn’t happen. But the music did. In 1979, many AOR, Funk and Fusion artists took quality arrangements to a new level. AOR stands for Adult Contemporary Rock, a kind of sound Toto had started delivering a year earlier. The “Hydra” album, released in 1979, went down in history as one of the best AOR recordings ever. While groups like Abba or pure Disco acts like Boney M. had considerable success, they were not the ones which made 1979 the year of high quality music. They were just a bunch of people singing songs on stages. They spread excitement within certain target groups, and still do, but others were running the quality department. Carlos Santana was one of them. His band’s “Marathon” album, released in 1979, was yet another milestone, a few years after “Abraxas” and “Borboletta”. Santana was obviously inspired by the Funk he heard all over the place, but was never a real Funk guy. The way he included some moderate Funk elements on “Marathon” was interesting. A killer album. There were many releases by superstars like the ones mentioned above. One of them, entitled “Breakfast in America”, hit Europe like a bomb. The British group Supertramp delivered a very special, unconventional album which told its listeners to “Take the Long Way Home”. The high-pitch voice of Roger Hodgson, who is still touring with his own band today, inspired an entire generation. While the Bee Gees, Blondie, Rod Stewart, The Village People and The Boomtown Rats got hits on the radio all over the place, and while Fleetwood Mac’s “Tusk” satisfied most of their fans, one guy was getting ready for a stunning solo career. The late Michael Jackson released “Off the Wall” in 1979, his best album. But this is not about him, Donna Summer, Pink Floyd (yes, “The Wall”, 1979) or The Police, no matter how good or successful they were in 1979, and it is not about “Sheik Yerbouti” either, but about certain artists in the Funk, Soul and Fusion departments who released the most brilliant albums of all time in 1979, the year of quality music. These are ten of them. 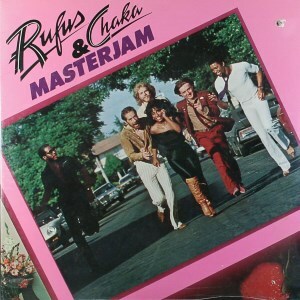 RUFUS & CHAKA KHAN “Masterjam”: The instrumentalist members of Rufus delivered something few have presented: perfection. Tony Maiden, Hawk Wolinski, Kevin Murphy and John Robinson, who is still the world’s busiest drummer, sounded so smooth, funky and clean, hardly anyone has reached that level since. But there was more to Rufus: Another band member by the name of Chaka Khan turned out to have the biggest Soul voice since Aretha Franklin. “Masterjam” featured some truly great tunes. 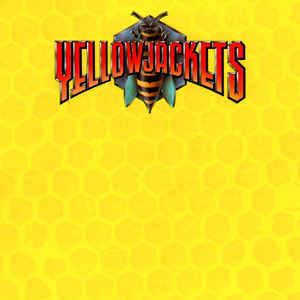 YELLOWJACKETS “Yellowjackets”: This Fusion group’s first album, released in 1979, is still their best. With compositions like “The Hornet” or “Sittin’ in It”, they contributed some of the most breathtaking sounds to a kind of music which still has tens of thousands of enthusiastic followers today. Russel Ferrante, Jimmy Haslip, the great Larry Williams, Gary Herbig, Kim Hutchcroft, Bill Reichenbach and Jerry Hey made it happen. The whole thing was produced by the great Tommy LiPuma. 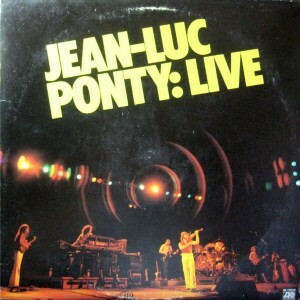 JEAN-LUC PONTY “Live”: The French violin player introduced himself all over the Western world as a member of Frank Zappa’s group Mother’s of Invention. When he started writing and recording solo albums, he became one of the best Fusion artists of all time. In 1979, he released a more quiet studio album entitled “A Taste for Passion”, but also the most fascinating live albums ever recorded. Which genius composer and arranger would even build jingles into his pieces? Jean-Luc Ponty. Which artist of this kind tells stories with his music? Yes, him. There are no words. 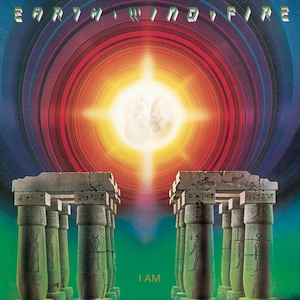 EARTH, WIND & FIRE “I Am”: The best band in the world did the obvious thing in 1979: It was an activity known as recording the best album of all time. The late Maurice White and his fellow band members and helpers came up with the most funky tunes ever, the most crisp horn parts in the universe, precision, unbelievable voices, beauty and energy. Hell! “In the Stone” became one of their hymns, “Can’t Let Go” one of their best. The same applies to “You and I”. “Boogie Wonderland” was far too commercial, and a huge hit for that reason. 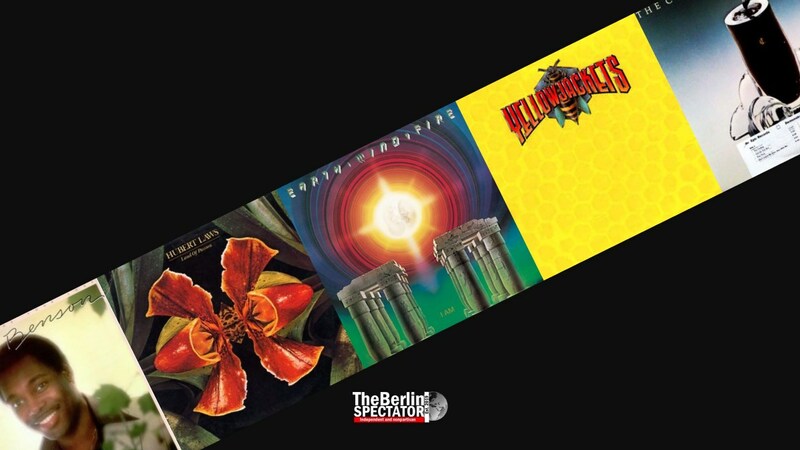 And with “After the Love Has Gone”, co-written by David Foster, Bill Champlin and Allee Willis, Earth, Wind & Fire managed to get a lot of radio airplay on Pop radio stations. Nobody comes even close to this kind of mixture between quality and the perfect groove. Made by genius. In case NASA sends another ‘Voyager’ space probe to the final frontier, this album needs to be on board. 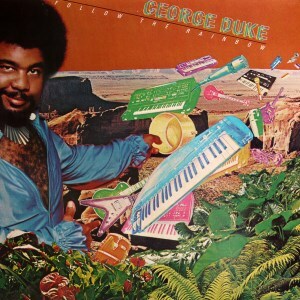 GEORGE DUKE “Follow the Rainbow”: Someone was really busy in 1979. The late George Duke, another ex-member of The Mothers of Invention, recorded not one, not two, but three albums that year. And they were three of his best. “A Brazilian Love Affair”, “Master of the Game” and “Follow the Rainbow” are just stunning, all of them. Duke, the master pianist, composer, arranger, vocalist and stage personality delivered extremely funky tunes, Fusion and Jazz-Funk, partially with a strong Latin flavor, and all of it very convincing. On these albums, he cooperated with the best in the “business”. This sample tune, “Festival”, is a good example for what George Duke stood for in his lifetime, and still does today. 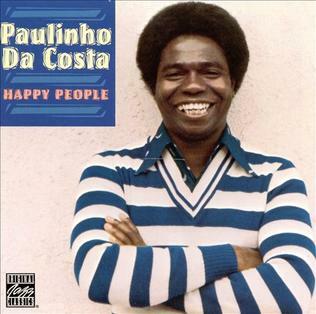 PAULINHO DA COSTA “Happy People”: During his long career, which is still ongoing, the Brazilian percussion master Paulinho Da Costa has worked with everyone, including Sergio Mendes and the entire phone book of Los Angeles. In 1979, he released his third solo album. “Happy People” became a brilliant mixture of Brazilian rhythms, Fusion and Jazz-Funk. Hardly any albums in this genre, except those delivered by Earth, Wind & Fire, have ever contained this much energy and genius. Paulinho Da Costa had help from Chicago’s Bill Champlin and, what a coincidence, EWF’s Philip Bailey. He sang “Deja Vu”. The tune is a bomb. 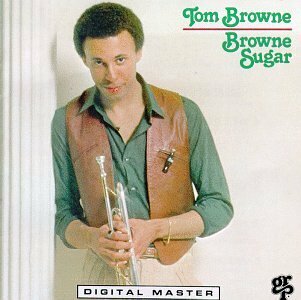 TOM BROWNE “Browne Sugar”: One of the greatest albums recorded in 1979 offers Jazz-Funk of a different kind. Most stunning compositions included were composed by the master himself, trumpet hero Tom Browne, and arranged by the legendary pianist, composer and producer Dave Grusin. Hardly anyone else combines romantic sounds with the fascination of Funk like he does. Tom Browne, who is 63, also has a second love. Apart from releasing some of the most brilliant Contemporary Jazz albums ever, he was a FedEx pilot for many years. This is not a joke. “Promises for Spring”, this sample tune, is too good to be real. Do listen to that bass approach towards the end. 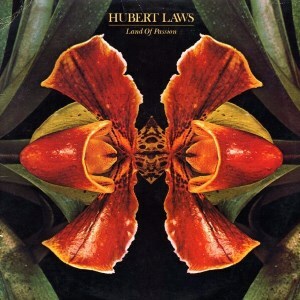 HUBERT LAWS: “Land of Passion”: The flutist always played a very wide range of musical genres, including Straight Ahead Jazz, Contemporary Jazz and Jazz-Funk. He even included Maurice Ravel on his “Family” album. Many of Hubert Laws’ compositions are actual symphonies with a lot of “expensive arrangements” of the kind only he could come up with. His soft flute play is breathtaking, literally. This song, “We’re in Ecstasy”, from the 1979 album “Land of Passion”, includes his sister Debra Laws as the main vocalist. There is stunning beauty in Hubert Law’s music. It can drive people to tears. 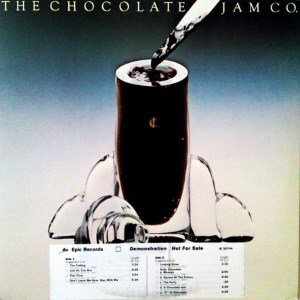 THE CHOCOLATE JAM CO. “The Spread Of The Future”: Leon Ndugu Chancler, who died in February of 2018, was a genius drummer who worked with everyone in the Jazz family, including Herbie Hancock, Stanley Clarke and Gerald Wilson. In between, he composed the nicest Soul, Funk and Fusion tunes and recorded albums, some under his name and others with his group The Chocolate Jam Co.. Unfortunately there are two Chocolate albums only. Both of them deliver an unmistakable blend of wonderful Soul tunes and sophisticated Jazz-Funk. “Just As You Are” (sample below) is one of the most wonderful Soul ballads of all time. Period. 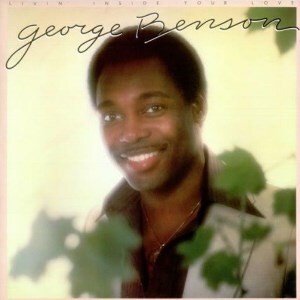 GEORGE BENSON “Living Inside Your Love”: One of the most versatile Jazz and Funk guitarists of all time, George Benson, was in his element starting in 1979, when this brilliant album was released. The genius himself, producer Tommy LiPuma, George’s fellow guitarist Earl Klugh and many other great artists were involved in this release. George Benson plays like a modern incarnation of Wes Montgomery and sings like a God. Also he contributes to American Jazz-Funk a whole lot. This double album offers a wide range of excellent compositions and arrangements. George Benson nailed it in all ways possible.